Choosing a Father's Day gift that will be treasured for years to come, means thinking beyond a tie, socks, or a funny mug. Check out these fun ideas to surprise and wow the father in your life, and make a lasting impression. When it comes to Father's Day gifts, many men often look forward to getting something more thoughtful and fun than a pair of socks or a tie. Sure, those items are useful and may be heartfelt, but there are so many other gift options to choose from to show fathers some appreciation. Choosing the right type of Father's Day gifts can be a challenge, especially when a dad may have everything already. However, when preparing to do some gift shopping for dad, it helps to learn more about dad's lifestyle needs, personal hobbies, or even center gift giving around a specific price point. Not all Father's Day gifts have to involve a t-shirt or mug with a funny greeting, golf clubs whether dad cares for the sport or not, or focus on grilling and meat. Every dad is different, and deserves a little bit more personalization and thought behind the gift being given. After scouring the internet for the best gift ideas for fathers, we considered customer reviews from real people, the reputation of product brands, and price point for features offered. Each of the following gift choices for dads on Father's Day was carefully selected for this top 10 list, after evaluating the usefulness and uniqueness each item had. Plus, we considered a range of budgets for shopping, lifestyles, and even choosing gifts for the Father who seems to everything and is hard to impress. The following gifts will offer any father a sense of attention to quality craftsmanship, a memorable experience, and provide a timeless addition to their daily lives. Each gift is both a mix of practicality, aesthetics and of course some fun. We hope that any father given any of these wonderful products selected is beyond pleased with the thoughtfulness and admiration that propelled the gift choice. 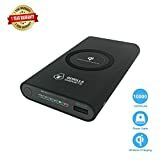 ​Whether a dad is enjoying a trip spent fishing, camping, or is traveling for work, they could use a portable charger for their electronics to always be prepared. Instead of struggling to find an outlet to power their cell phones and other Internet-connected devices, Anker provides a handy solution that is lightweight, travel-friendly, and dependable. The Power Core 20100 retails for a modest price for its capabilities and has been trusted by over 20 million satisfied users and counting. This ingenious device weighs less than the average soup can, and quickly charges multiple devices, while also protecting against short circuits or power surges. 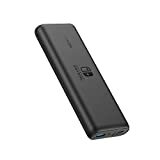 Most tablets, MacBooks, smartphones, and some Bluetooth devices can all be charged using this portable charger with a matte finish. Anker boasts that this portable device can charge an iPhone up to 7 times! If there is a father who could use a little pick-me-up in the morning, and appreciates a finely crafted bourbon, but also loves their morning cup of coffee, why not do both? Uncommon Goods may have the perfect solution, for dads who enjoy a signature drink for its aroma, uniqueness, and full body flavor. There may not be any alcohol in Uncommon Good's Infused Bourbon Coffee, but it is sure to be a conversation starter nevertheless. Produced with 100% Arabica coffee beans and roasted in Tennessee, each small batch of coffee is infused with Kentucky's signature spirit. And while you are at it, consider throwing in a French press for your dad to get more of a kick out of his coffee anytime the need arises. When your dad is impossible to shop for, either because they don't know what they want for Father's Day, or seem to everything, consider Vaja for a customized leather case. Leather is a timeless and sophisticated material that will keep your dad's iPhone or another device safe, clean, and classy looking at all times. Vaja also makes leather cases to protect passports too. No matter your dad's aesthetic sensibilities, you can surprise them with a customized leather case for a minimalist look, while protecting their smartphone. When it comes to getting a good clean shave, the Germans are expert craftsmen with razors and packaging design. Introduce your dad to Harry's, offering various items in a kit or singly for everyday grooming needs for facial hair maintenance. The Truman set comes in a neat box, offers multiple color options for its weighted razor with a sturdy textured grip, and replacement blades. You can choose between the foam gel or cream, so your dad gets a close shave, and moisturizes their skin in the process. Each blade comes with a lubricating strip, flexible hinges, and is perfect for reaching every square inch where there's hair to be trimmed to bare clean skin. HIGHEST RATED One Gallon Starter Kit on the market. Easy craft beer making kit for beginners. Make Father's Day special for the dad who enjoys a cold glass of brew, by giving them the chance to brew their own finally. 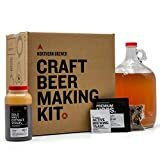 Homebrewing has never been more popular, and thankfully, there are great companies like Northern Brewer who are happy to oblige a father's desire to get brewing! The Homebrew Starter Kit lets curious, and fun-loving dads brew up to 1 gallon of their own special concoction of hootch. Dad's get a choice of a recipe kit that helps them to produce their own Wheat Ale, Irish Red Ale, or even a Double IPA. Any father gifted this kit might be excited enough to create their own special label of brews or can kick back and enjoy their handiwork for personal consumption alone. The possibilities are endless. If dad frequently enjoys barbecuing, spending time at the pool or beach, or loves being outdoors, they will love a waterproof Bluetooth speaker to enjoy listening to their favorite tunes. Put a stop to unfortunate accidents when electronics and water meet, thanks to this handy portable Bluetooth speaker that comes in an array of colors. This speaker has an integrated 3.5 mm audio cable, allows for phone calls with the mic, and allows up to 8 hours of playtime. Dad shouldn't outright immerse this speaker in water, but he can enjoy clipping this device to his backpack, belt loop, or other things to enjoy music and sound anytime he likes. For the dad who is a big kid at heart and enjoys playing with gadgets, consider getting him a racing drone. Unlike other drones built for aerial photography, or exploring the various terrain, this drone was made for excitement and fun. The DYS Shark Mako is a ready-to-fly drone that is set-up to go right out of the box. Dad won't have to waste any time putting their drone together, and can get busy sending their new toy flying around in a flash. The features on this drone are pretty solid for durability, stability, and of course speed. 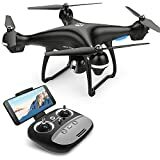 If dad is a beginner to drones but was always interested, this quadcopter style drone is a great choice. The included remote control is easy to use and can be switched out as dad becomes more comfortable and wants to upgrade his drone flying experience. Capacity: 30L / 1,831 cu. in. Fathers who enjoy a good tailgate party, camping, or venturing out for a get-together at the beach will appreciate this attractive backpack cooler. Instead of the typical plastic cooler, this sturdy backpack has enough room for a 12-pack and ice. Plus, the two pockets on the sides are just right for sneaking in some wine bottles or water when it's time to cool down. Eddie Bauer doesn't disappoint with this cooler, which comes with a zipper that doubles as a bottle opener, and an interior mesh pocket for keeping utensils or other needful things. Dad will love taking this casual looking bag when going out with the fellas, spending time outdoors, or meeting up for sports events. Durably made to withstand wear and tear, this backpack cooler does not sport leaks, and keeps drinks cool for hours. Stunning Sound: Dual 10W audio drivers generate cinematic stereo sound and deep pounding bass. Fathers who enjoy spending time watching a film, or want to show off their own cinematic skills can use a portable projector from Anker. There is no need to rely on a television and traditional entertainment setup when dad wants to watch videos off of Youtube, Netflix, or other fun things. As long as this projector is used in a dimmed environment, using Wi-Fi, this intelligent and attractive device can project images up to 100 inches in size. 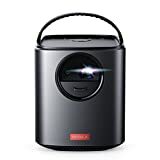 The omnidirectional speaker outputs sound with excellent clarity, and it is capable of playing back videos for up to 4 hours. The dad who thinks he has everything could still use a comfy bathrobe, whether to lounge around the house or when headed to the bathroom to shave and shower. Inspired by robes for pugilists, this bathrobe is made out of a plush and touchable fleece fabric. The interior is soft, quilted, and provides lightweight warmth. An oversized hood is included to keep the draft off of dad's head, and two deep pockets offer plenty of room to place hands, glasses, or other small possessions. This bathrobe provides fathers with a luxurious experience that is perfect for all-year-round use. It can be challenging figuring out what to buy dad for Father's Day, but hopefully, this list should put gift-giving anxiety to rest. Whether a dad is into craft brews, a coffee aficionado, or likes to be well groomed, there are plenty of appropriate gift options to show your appreciation and love. You don't have to break the bank to shop for Father's Day gifts, or you can choose to empty out your wallet for a fancy hi-tech gadget or luxurious bathrobe. The choice is yours to celebrate that special someone on Father's Day.